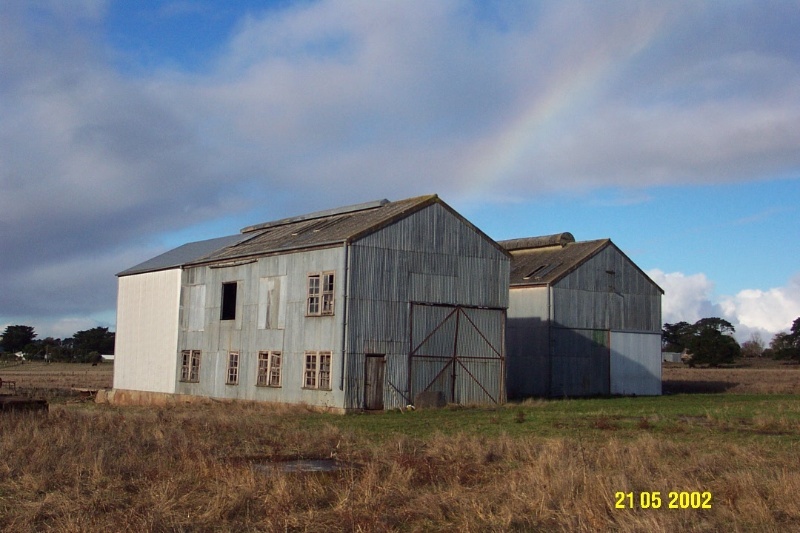 The Penshurst Flax Mill is located on the east side of the Penshurst-Dunkeld Road about 1.0kms north of the township. Although the complex at its peak had a number of buildings over the site, only two adjacent structures survive from the original complex. The original function of the remaining structures is not certain. 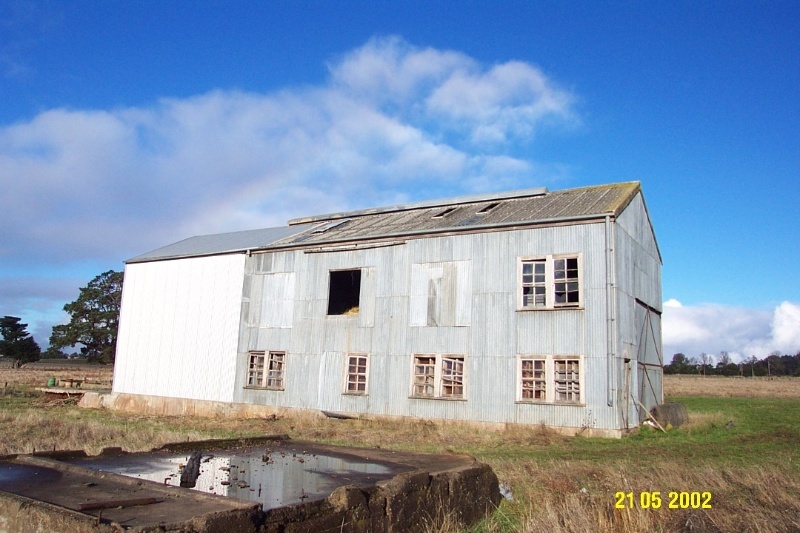 Both are two storey, timber-framed and corrugated iron clad buildings. The Penshurst Flax Mill was set up as a temporary, subsidiary of the successful Strathkellar in 1940, and the complex began permanently in 1944. The Flax Mill employed fifty people on a full time basis, and at times employed an extra 50 casual staff. The Mill closed in 1951, and has been disused since this time. The building was burnt recently. The buildings are in poor, ruinous condition, but retain a fair degree of integrity. 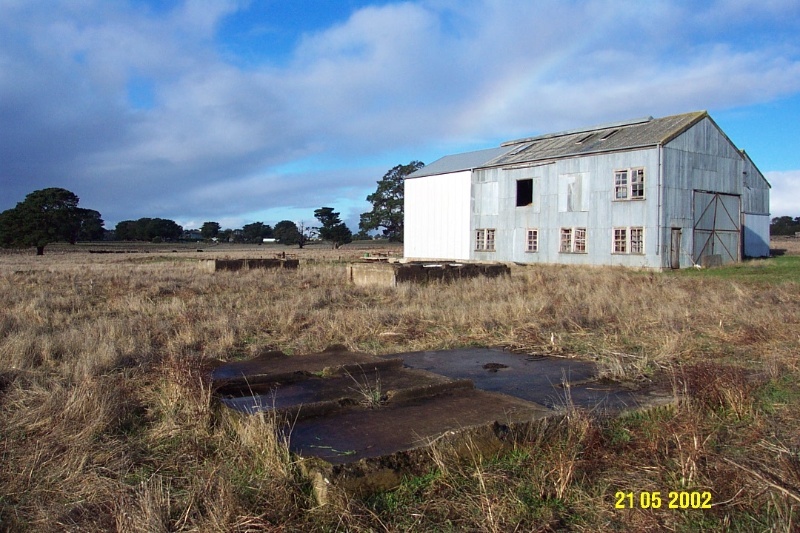 The Penshurst Flax Mill is of historical significance to the township of Penshurst and the Shire of Southern Grampians. The Penshurst Flax Mill is of historical significance as it represents the Australian Government's desire to move toward self sufficiency in the late 1930s and early 1940s. The Mill was developed as a subsidiary of the successful Strathkellar Flax Mill, which it should be viewed in relation to. The Mill is of further historical significance as the major employer in the township for 10 years, between 1940-51. The mill is also of significance as it represents an industry which, although short lived, was an extremely important part of the township and surrounding area. Seriously compromised by the loss of the other buildings in the complex. The former Penshurst Flax Mill is located on the Dunkeld-Penshurst Road, approximately one kilometre from the centre of two structures survive from the original complex. The original function of the buildings is not certain. 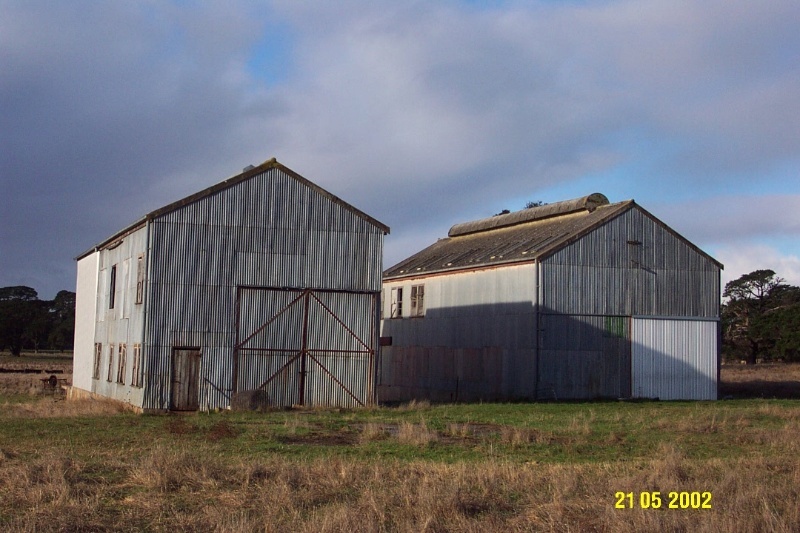 They are both two storey, timber-framed and corrugated iron clad buildings. The windows are large and of an industrial design. The buildings were burnt recently, and are now in a ruinous condition. poor degree of integrity especially following fire. Mr. Bruce Hogg, director of Flax Fibres Pty. Ltd.